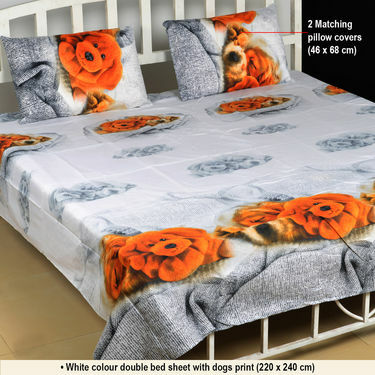 Lend your room an edgy look with these premium quality bedsheets featuring eye-catching 3D prints. 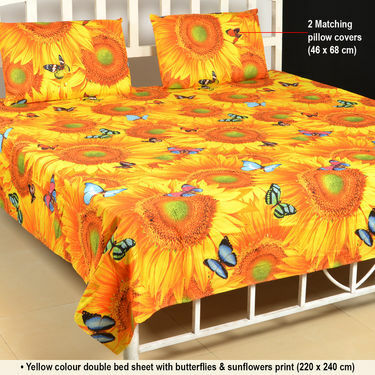 These uber-cool bedsheets beautified with nature prints will enliven your bedroom. 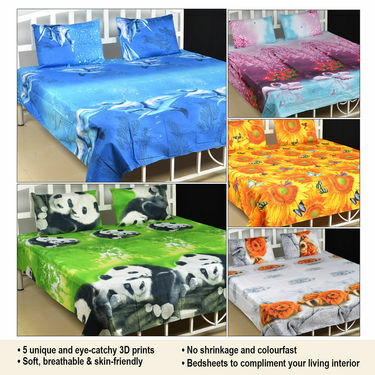 Made out of skin-friendly soft feel fabric, they are soft, smooth. 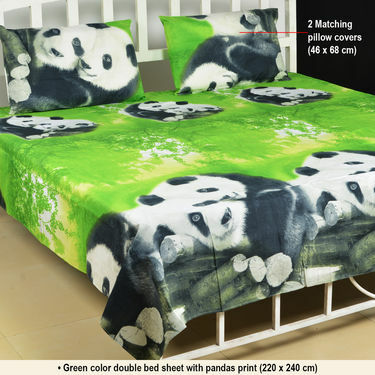 Designed for ultimate comfort, the breathable fabric offers you a relaxing sleep. 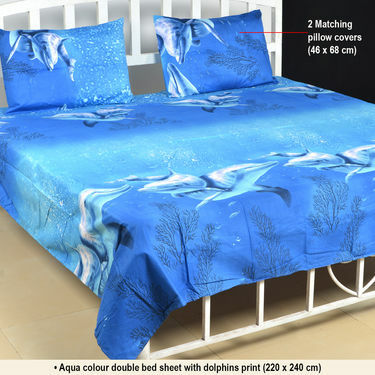 Along with being attractive, these bedsheets will not shrink on wash neither will the colour bleed. 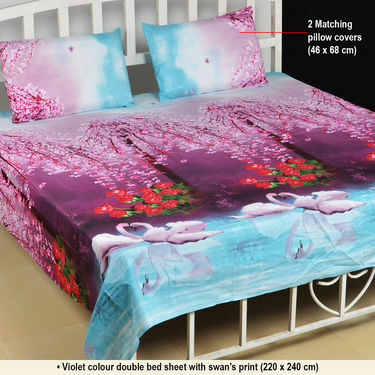 Prakruti Ka Nazaara, 5 (3D Print)..VSSet of 5 Floral 3D Bed Sheets wit.. Prakruti Ka Nazaara, 5 (3D Print).. VS Set of 5 Floral 3D Bed Sheets wit..
Prakruti Ka Nazaara, 5 (3D Print)..VSSatrangi Pack of 5 - 3D Bedsheets.. Prakruti Ka Nazaara, 5 (3D Print).. VS Satrangi Pack of 5 - 3D Bedsheets..
Prakruti Ka Nazaara, 5 (3D Print)..VSPhoolon Ki Duniya - 5 Double Beds.. Prakruti Ka Nazaara, 5 (3D Print).. VS Phoolon Ki Duniya - 5 Double Beds..
Prakruti Ka Nazaara, 5 (3D Print)..VSMural Art - 4 Double Bedsheets (1.. Prakruti Ka Nazaara, 5 (3D Print).. VS Mural Art - 4 Double Bedsheets (1..
Prakruti Ka Nazaara, 5 (3D Print)..VSPack of 4 - 100% Cotton King Size.. Prakruti Ka Nazaara, 5 (3D Print).. VS Pack of 4 - 100% Cotton King Size..